Are you the Big Brother Ultimate Fan? If so, you could win a trip to the Big Brother 12 finale and the chance to meet the Big Brother houseguests! First Eviction on Thursday, July 15th. Big Brother 12 premieres Thursday, July 8th on CBS and airs every Thursday, Sunday, and Wednesday at 8pm Eastern. The first live eviction will occur on Thursday, July 15th. Julie Chen returns as host. Big Brother 12 Live Feeds. 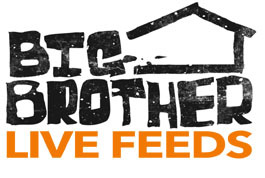 CBS and Real Networks are once again providing 24/7 live streaming from the Big Brother house. Live streaming from the Big Brother house starts immediately after the July 8th premiere. Exclusive access is available through Real’s SuperPass Subscription (signup here). They are offering a 25% Earlybird Discount if you sign up by July 7th, the day before the premiere. Use Earlybird Coupon “BB12QTEARLY” to save $10 at signup, but be sure to do so before July 7th. Official Big Brother Twitter Accounts Return. Last season Big Brother and CBS provided fans with two Twitter accounts from inside the Big Brother compound. Be sure to follow @BigBrotherScoop for updates from the production team and @BigBrotherHOH for updates from the current Head of Household. Big Brother 12 on Showtime. CBS and Showtime are once again presenting “Big Brother: After Dark” on SHO2. Three hours of uncensored house action will air nightly on SHO2 from 12-3am Eastern beginning Thursday, July 8th. Win a Trip to the Big Brother 12 Finale. Now the BIG NEWS! Are you the Big Brother Ultimate Fan? If so, you could win a trip to the Big Brother 12 finale with the chance to meet all of the houseguests! CBS.com will feature this new contest where fans will earn points by participating in Big Brother games and community involvement at CBS.com. 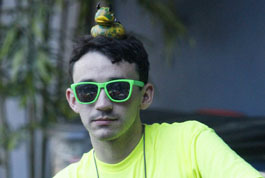 The fan with the most accumulated points at the end of the season will be crowned the Big Brother Ultimate Fan. The winner receives a trip to the Big Brother 12 finale and the chance to meet the houseguests. Check out CBS.com. Registration begins June 30th with the content beginning July 8th.